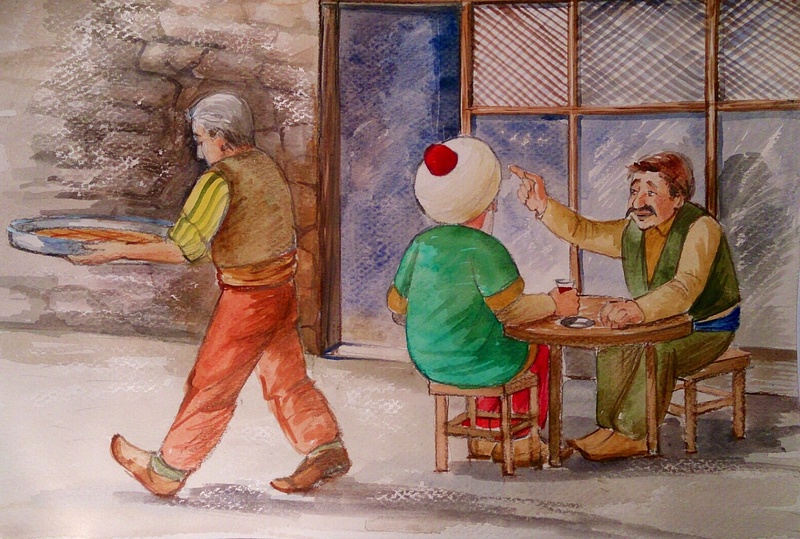 One day Nasreddin Hodja and his chatty old friends were sitting at the coffee house. A young boy carrying a tray of baklava attracted the attention of one of the man. Hodja shrugged his shoulders; It is none of my business. Hodja’s friend: But Hodja, watch! He is taking it to your house.